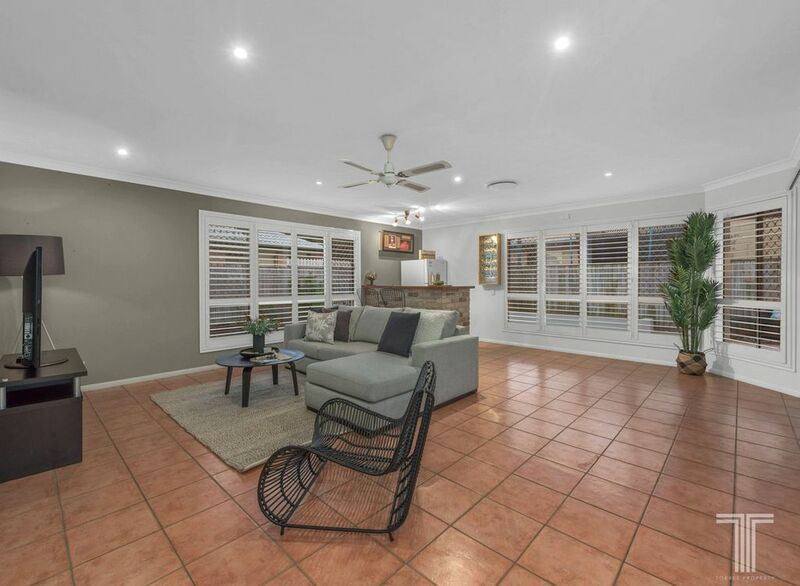 Positioned in a small cul-de-sac and surrounded by lovely, established pine trees, this low set family home offers easy care living in a private position. 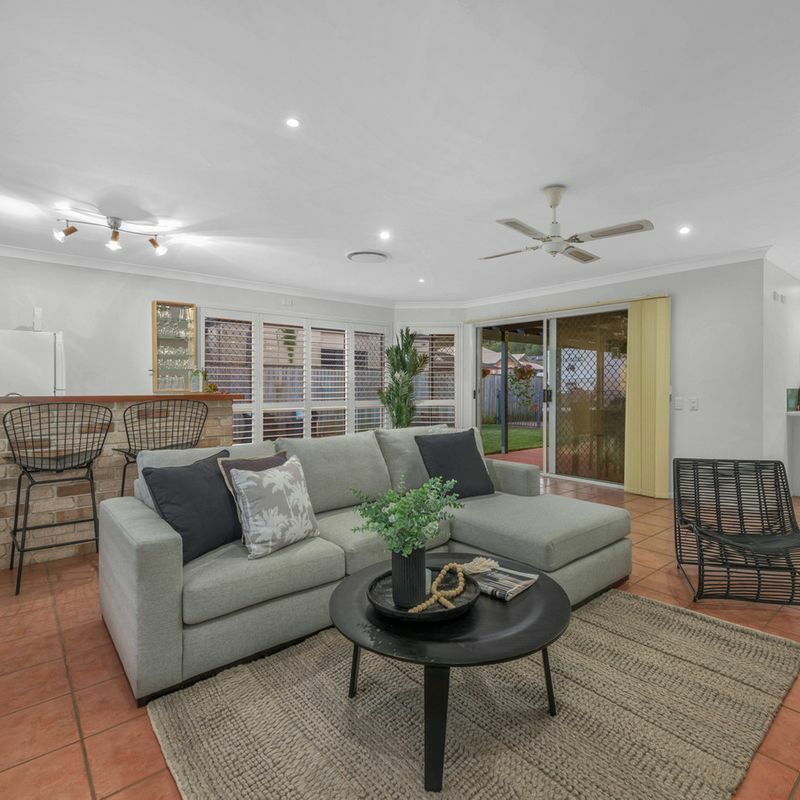 Set behind a large front yard and brick exterior, the home opens to reveal a welcoming sitting room with plush carpeting and plenty of natural light. 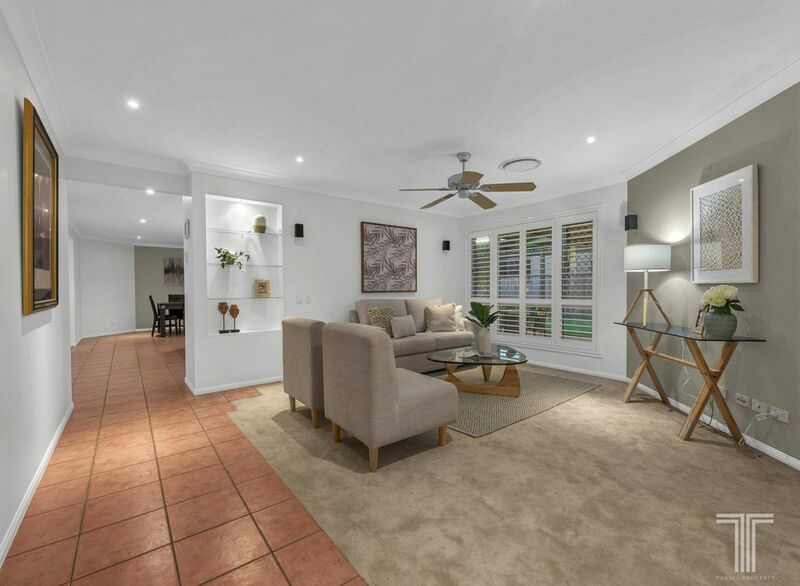 Flowing through to the open plan lounge and dining space, this tiled area is ideal for relaxed family living and boasts a wet bar that can be utilised when hosting guests. 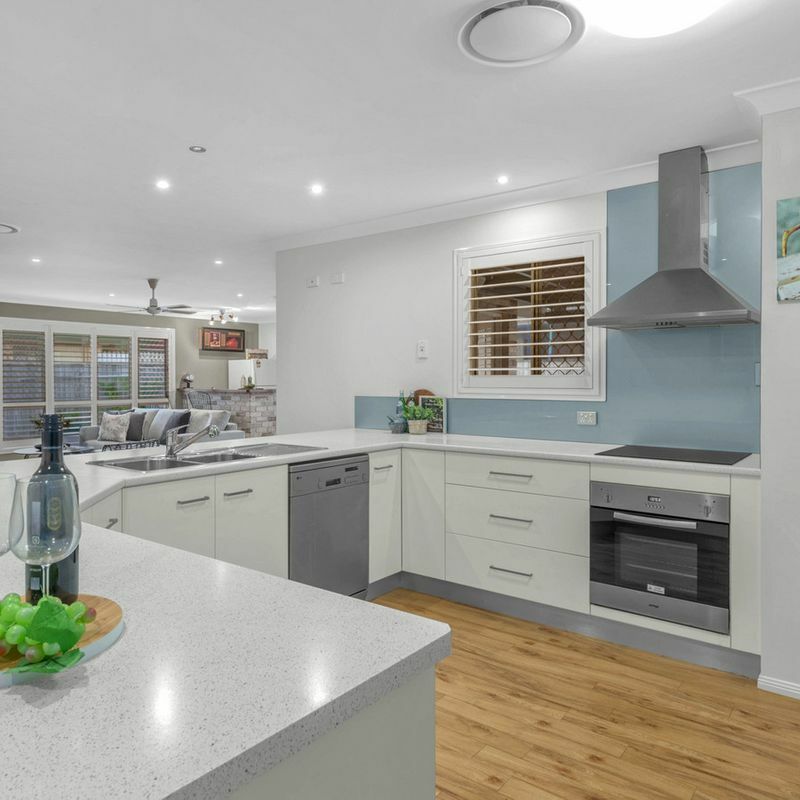 Very generously sized and adorned with sleek, white stone wraparound benchtops, the kitchen boasts a breakfast bar, ample cabinetry, walk-in pantry and array of quality stainless steel appliances including Omega oven and cooktop. 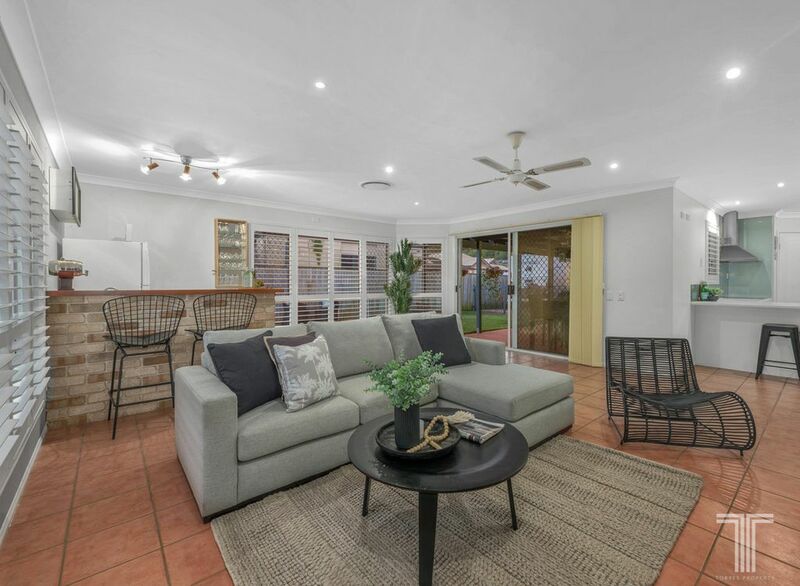 Looking out over the pool and yard, this open living area flows out onto the expansive entertainer’s patio. 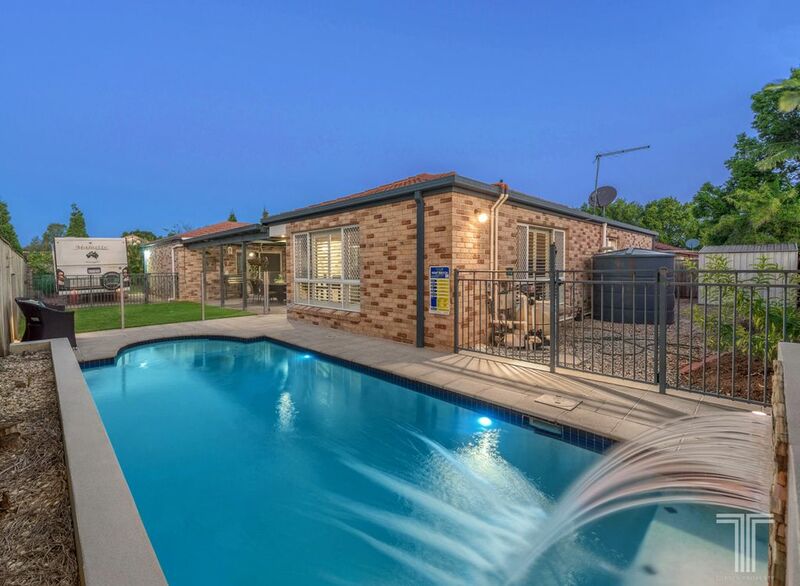 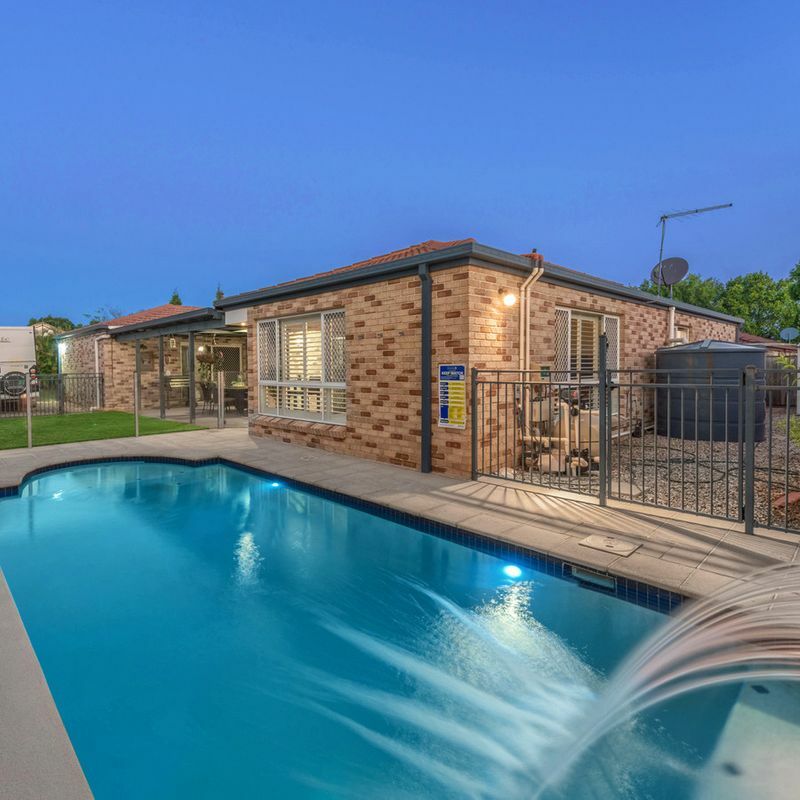 Completely covered and overlooking the grassy backyard, this outdoor retreat also features a glass framed pool with solar heating and lovely waterfall with coloured lighting. 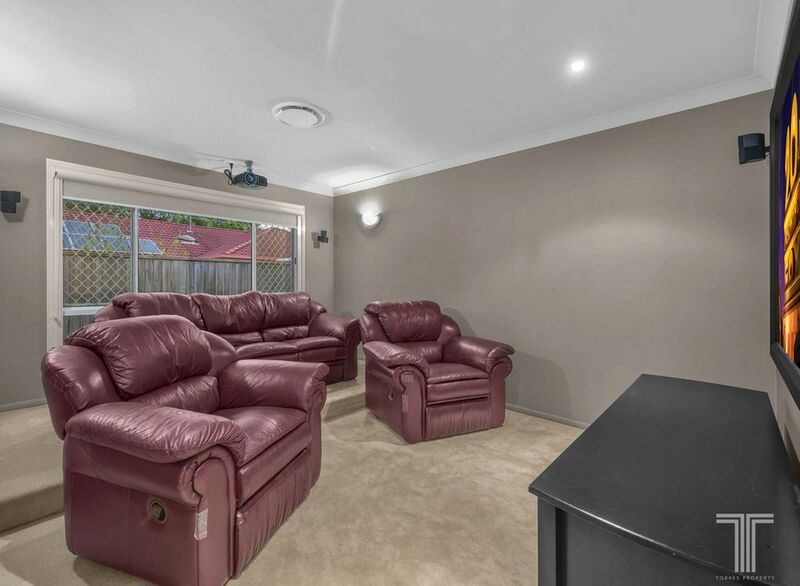 For further indoor entertainment, the home cinema comfortable seats 4-6 people and boasts plush carpeting and built-in projector and screen. 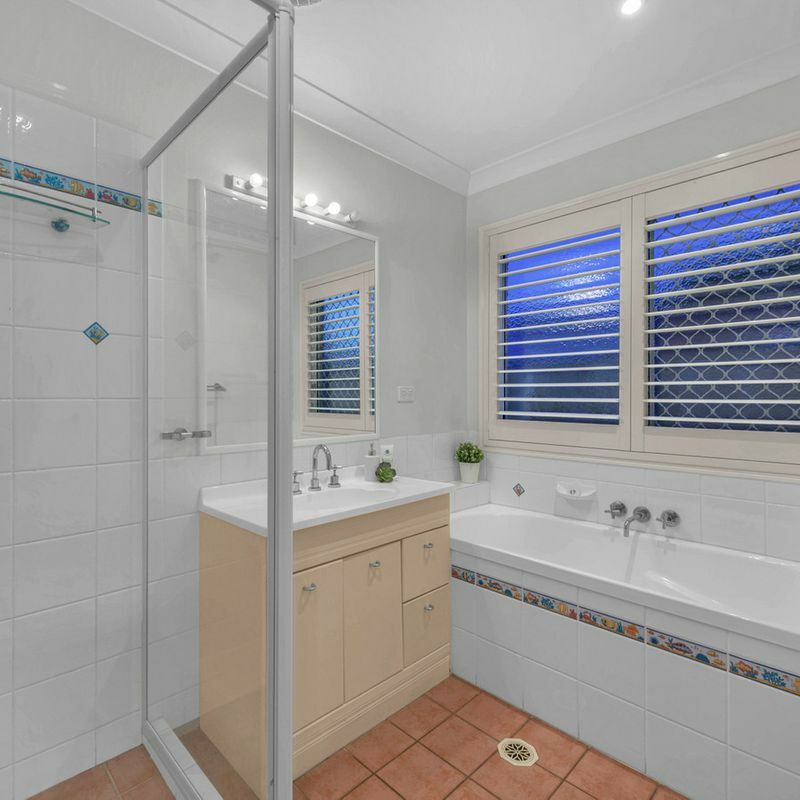 Three good sized and carpeted bedrooms all feature built-in robes and are serviced by the main bathroom. 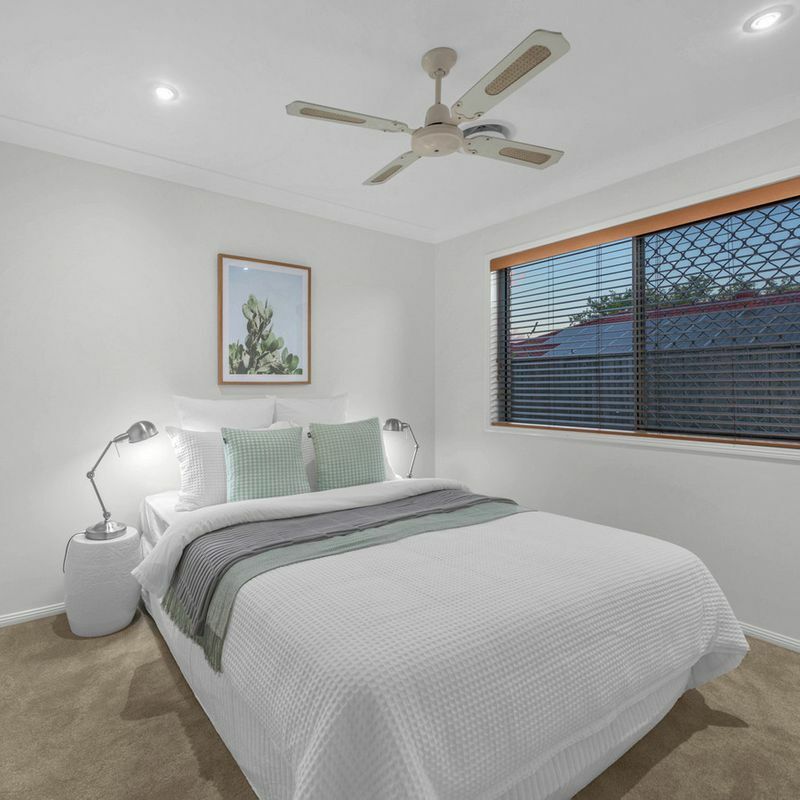 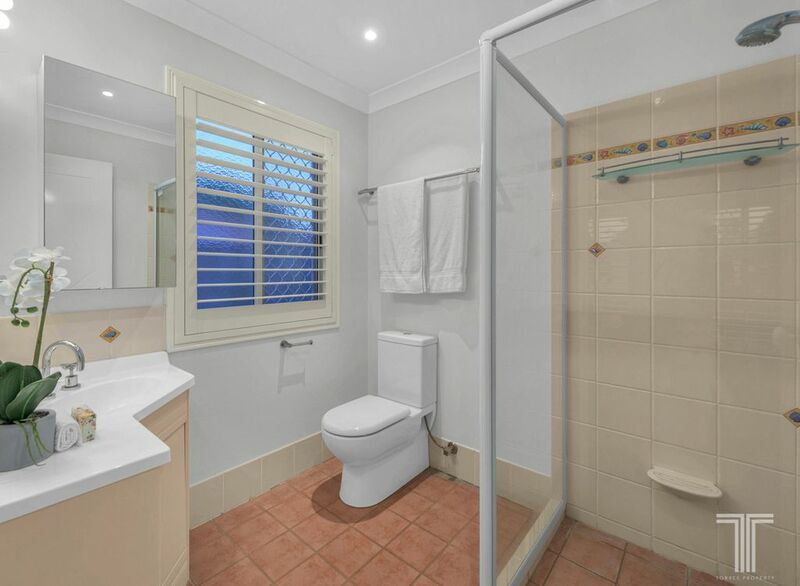 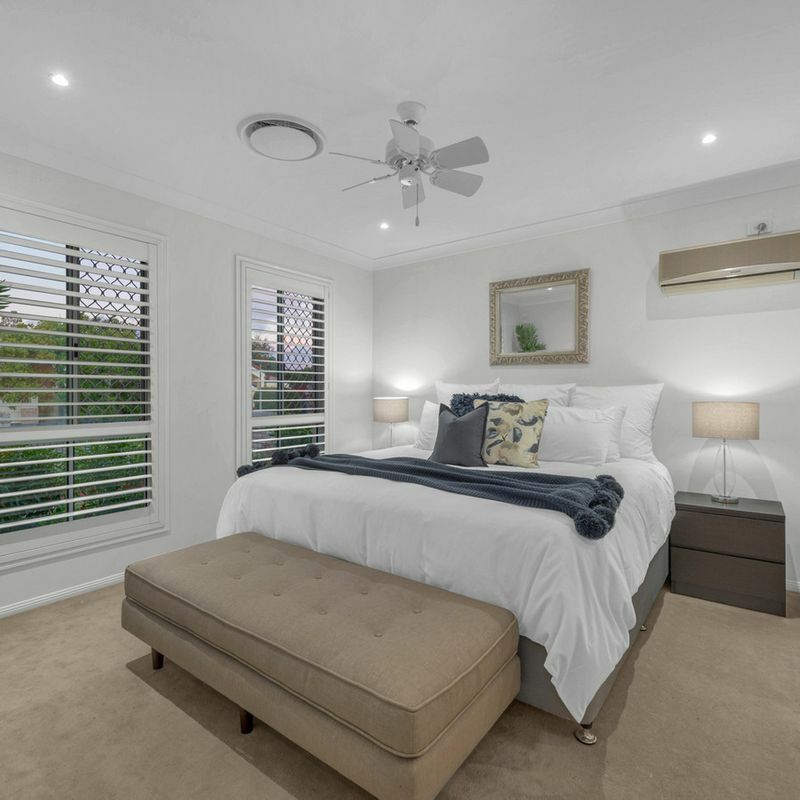 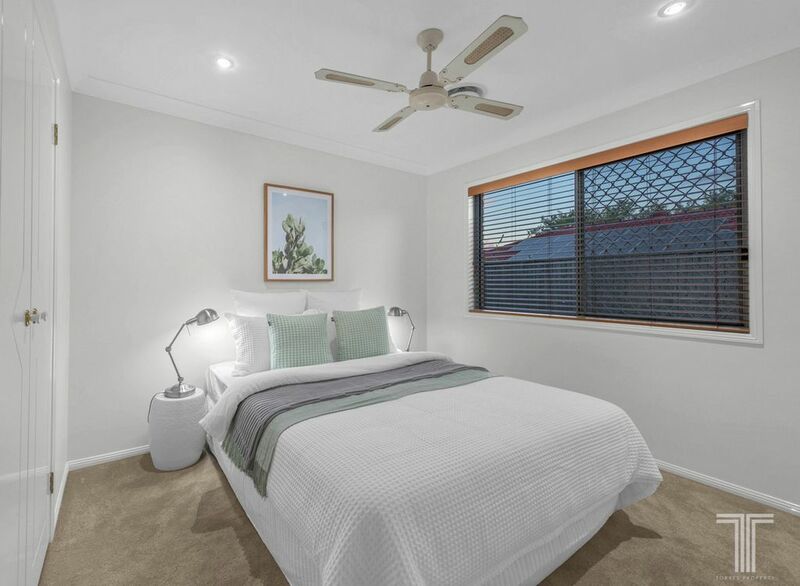 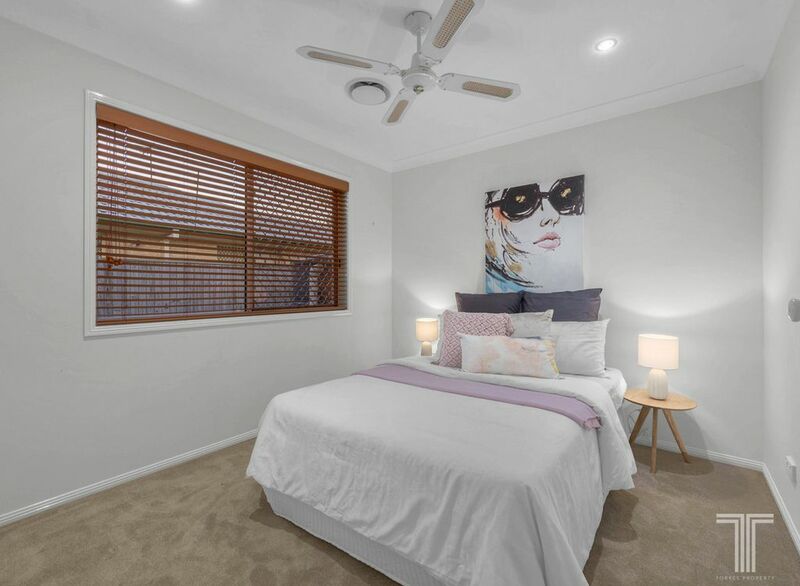 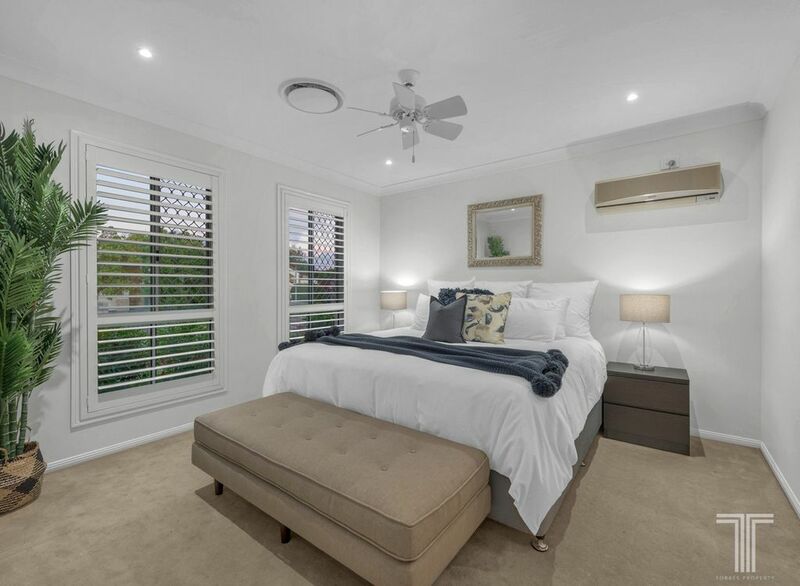 Boasting additional split system air-conditioning and plantation shutters, the master bedroom also delights in a walk-in robe and large ensuite. 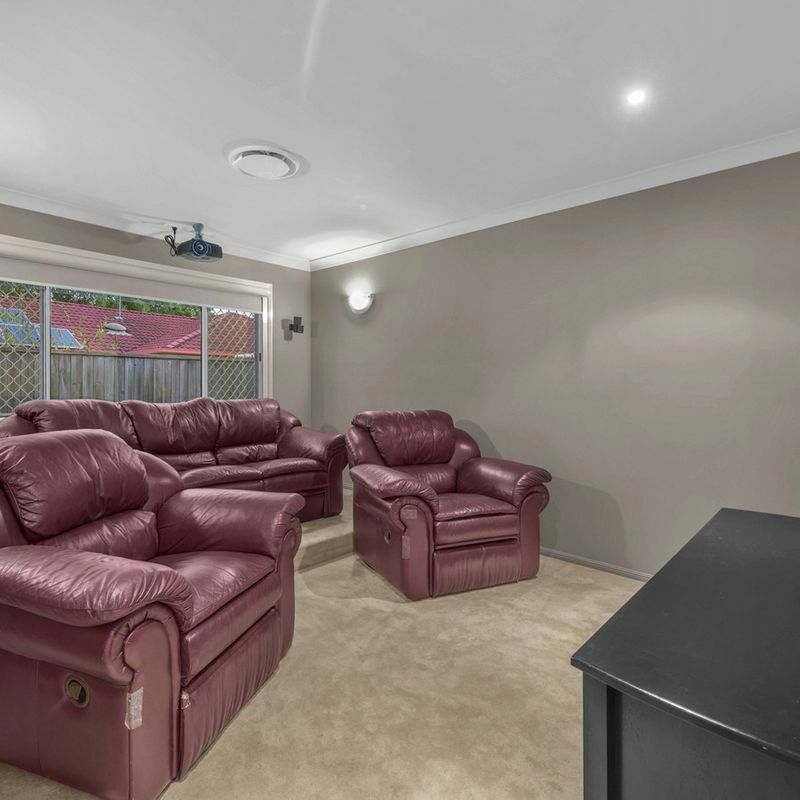 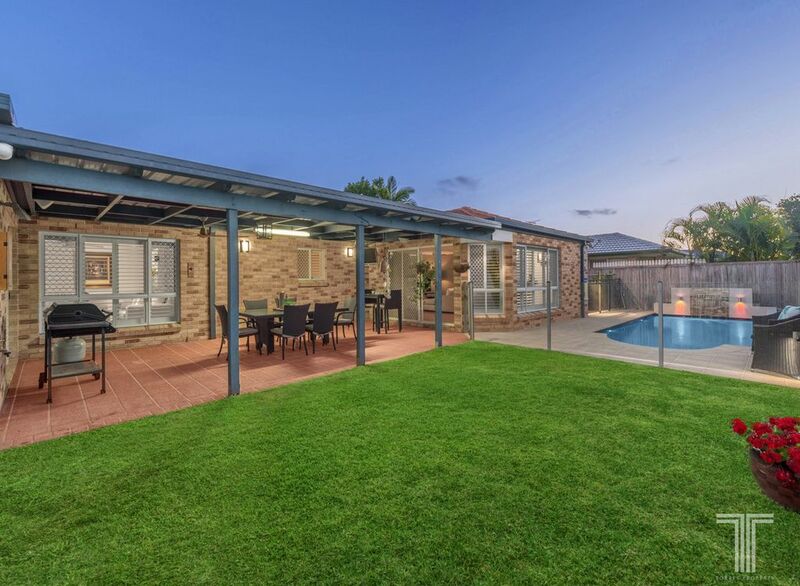 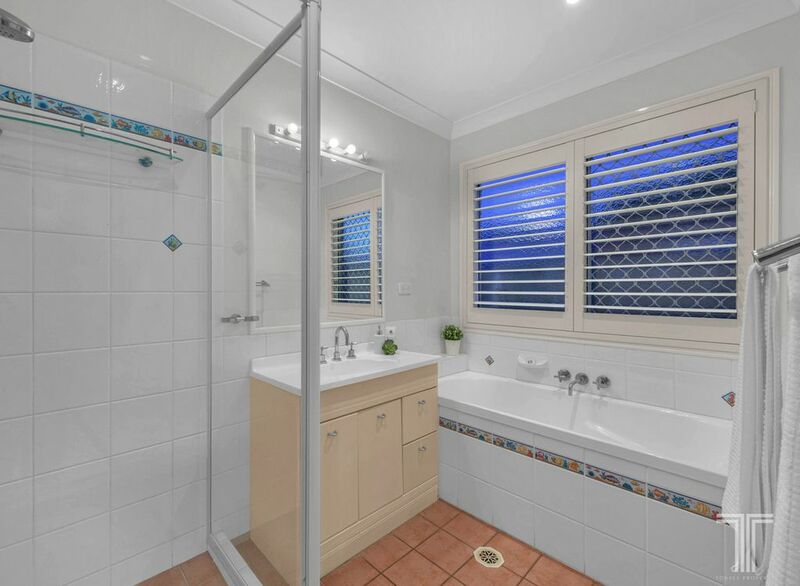 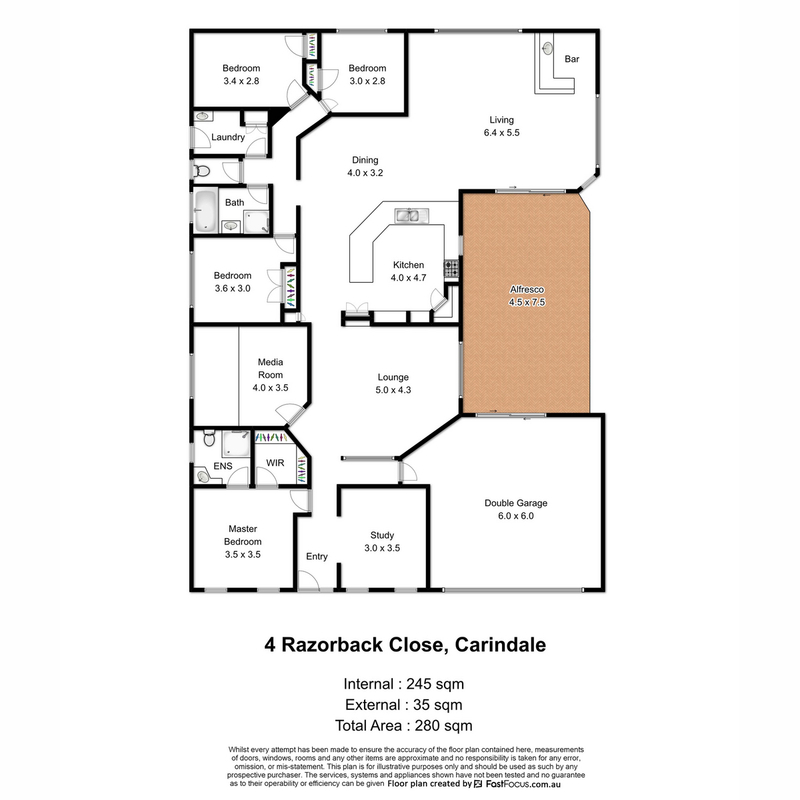 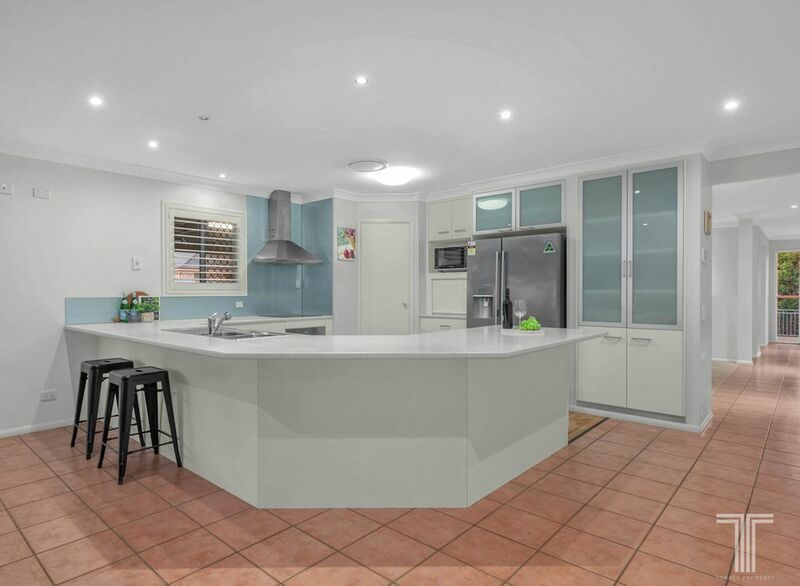 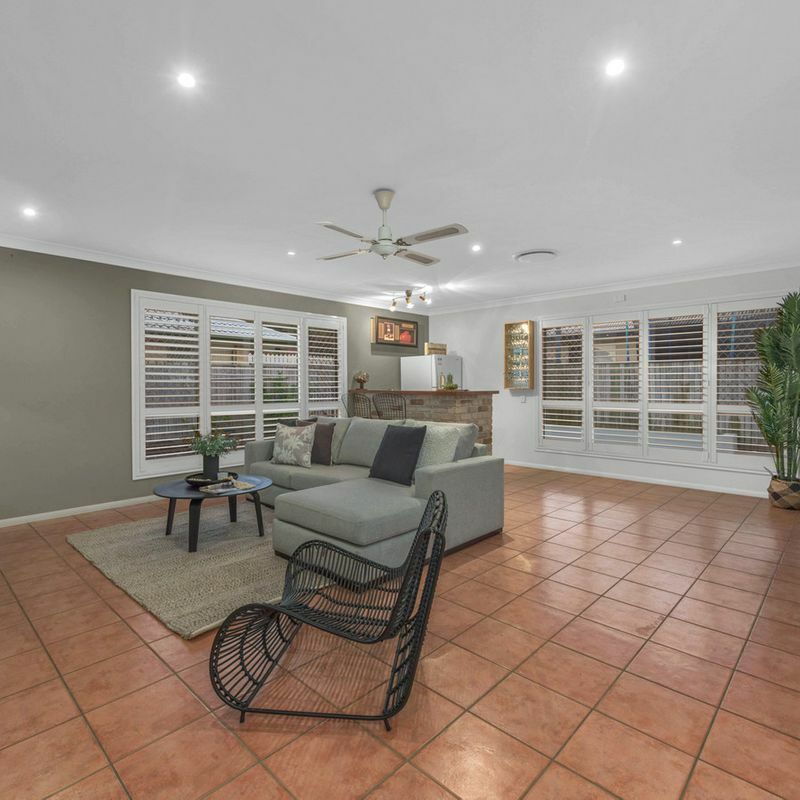 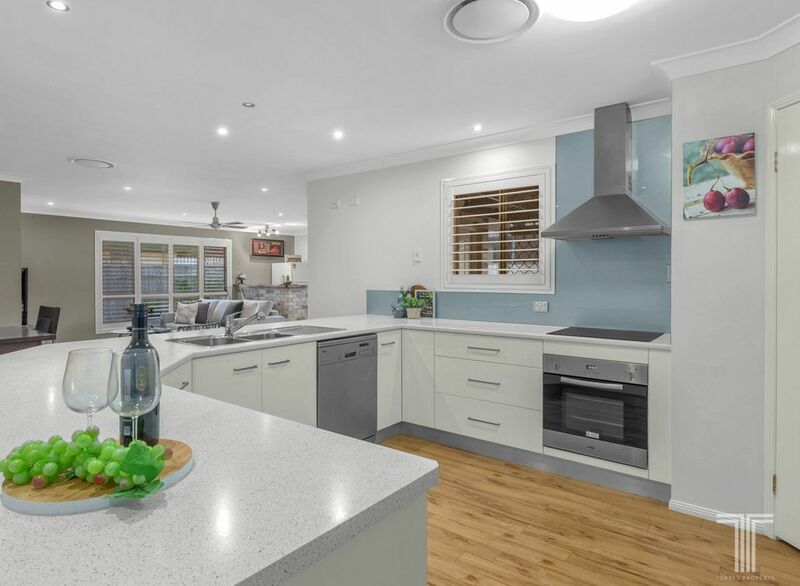 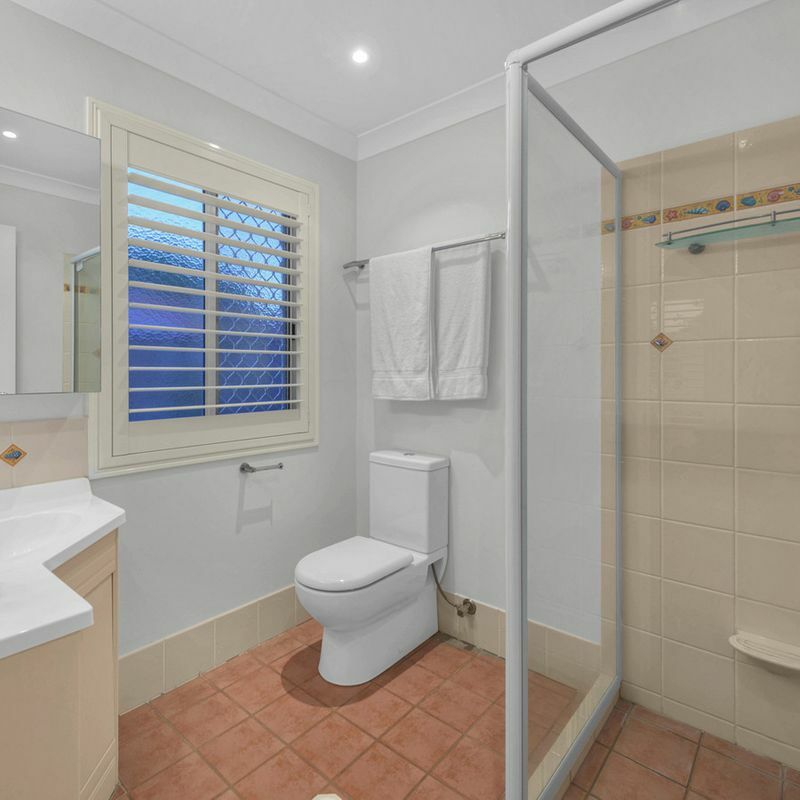 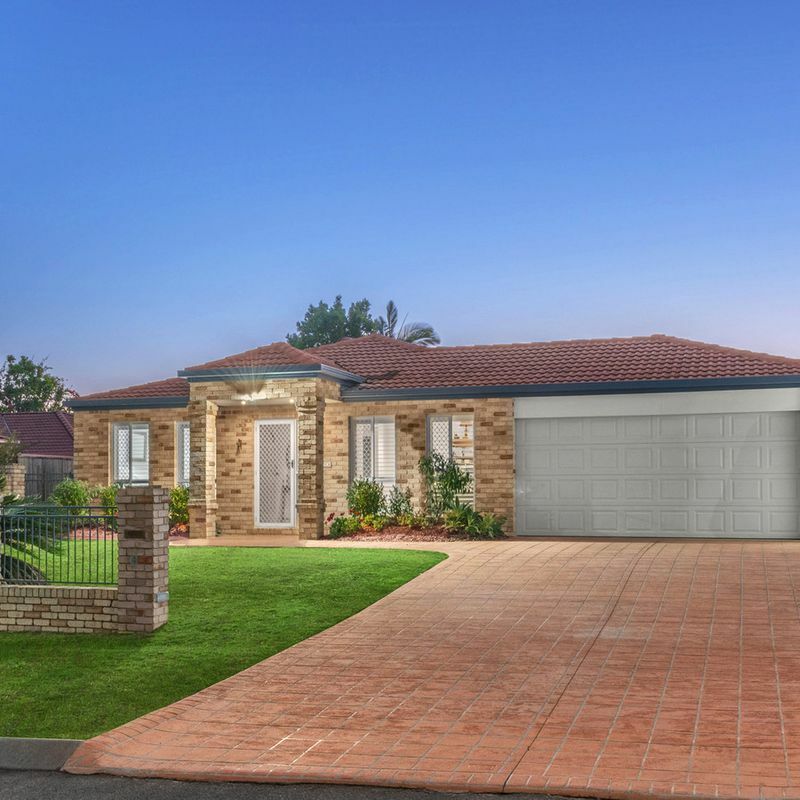 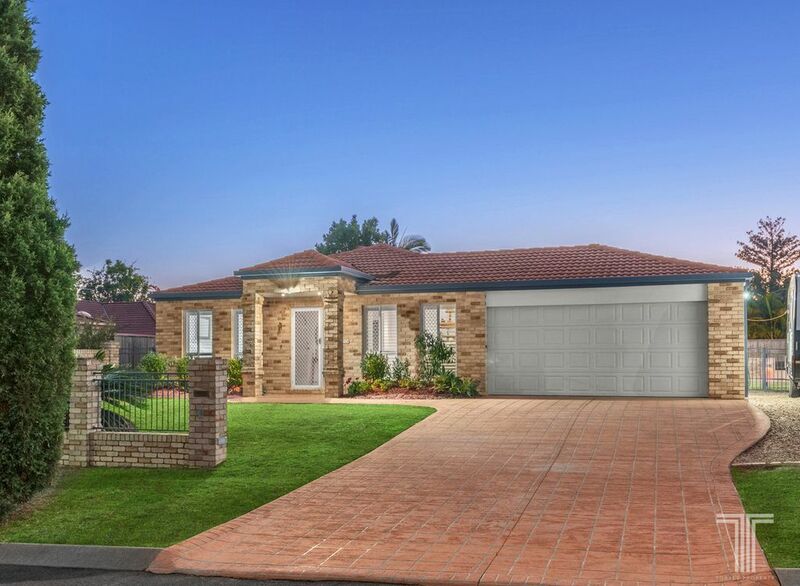 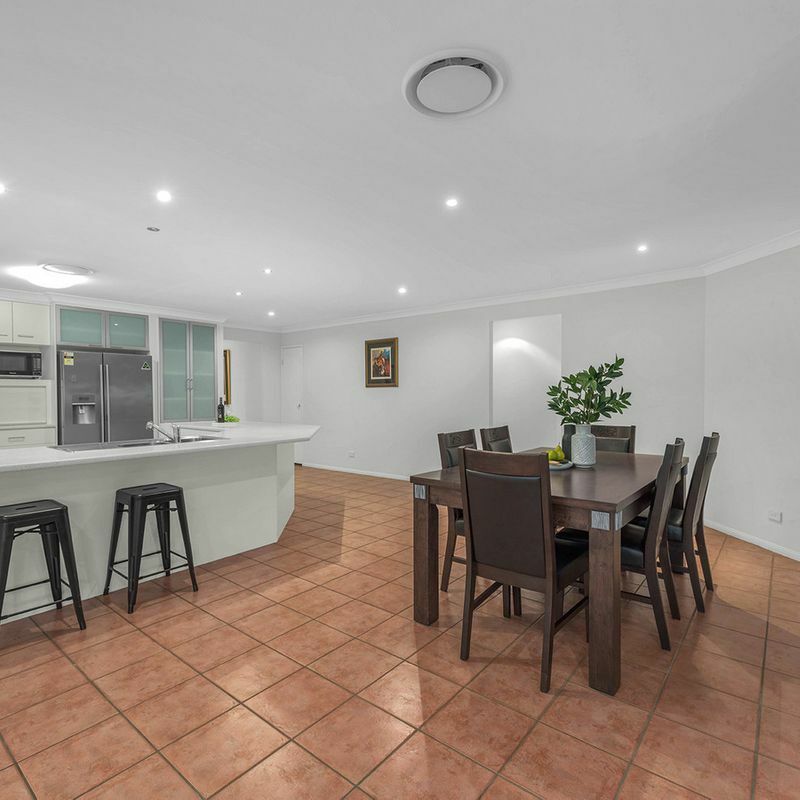 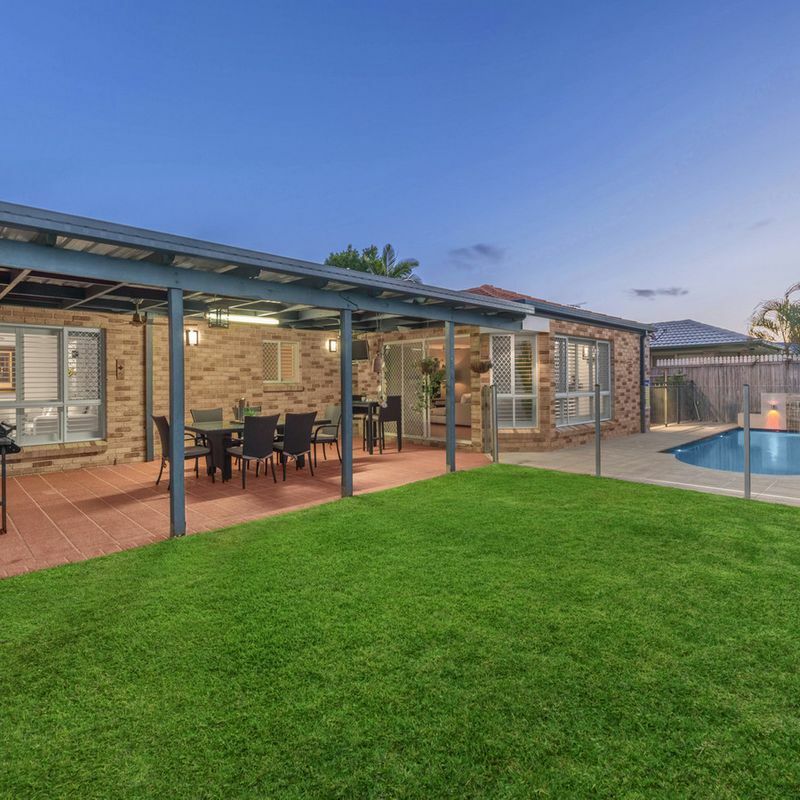 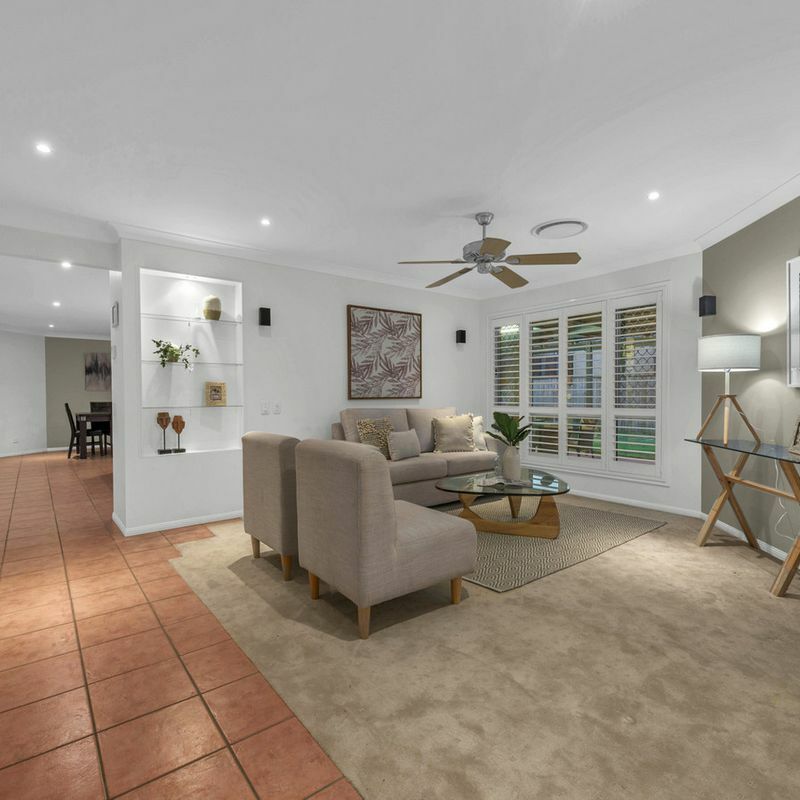 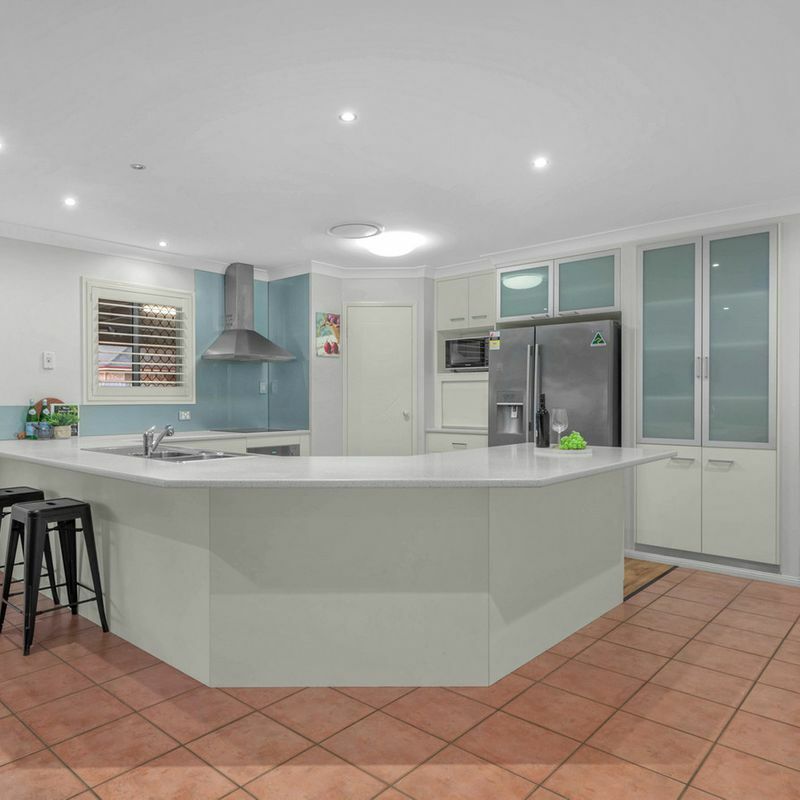 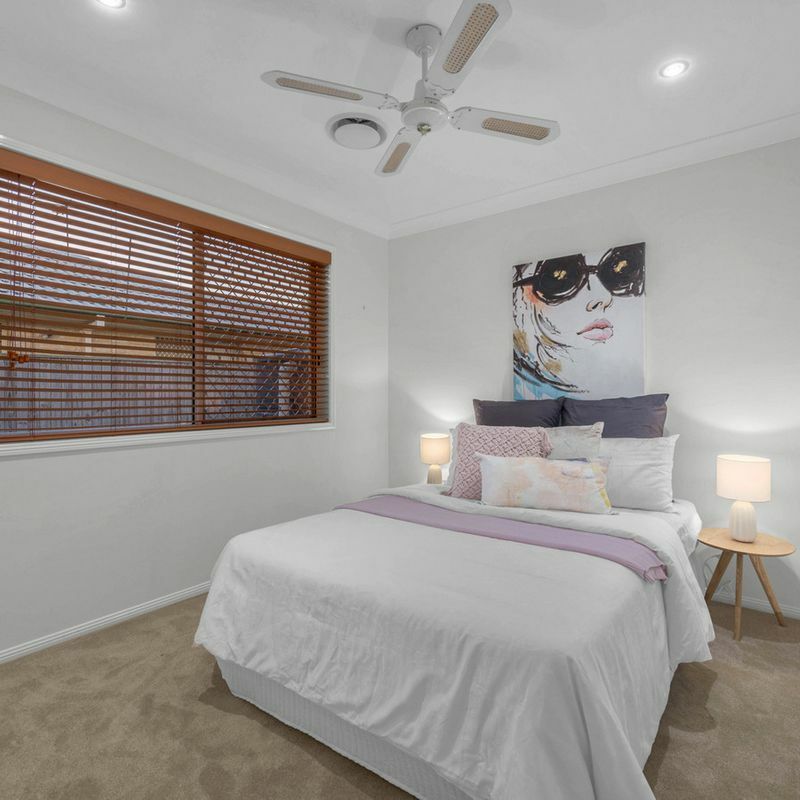 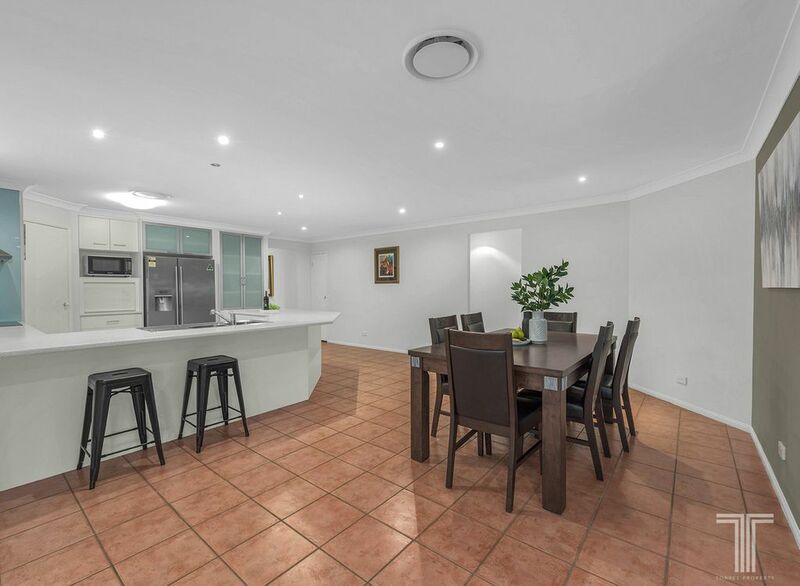 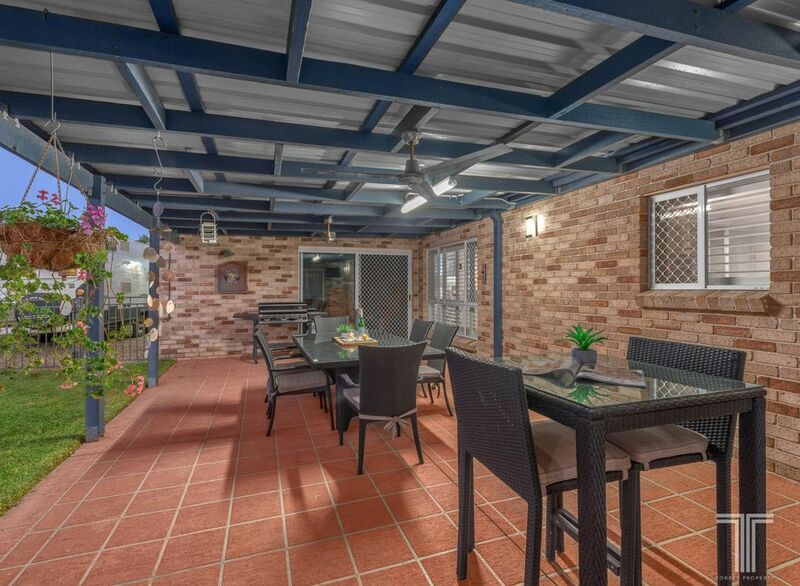 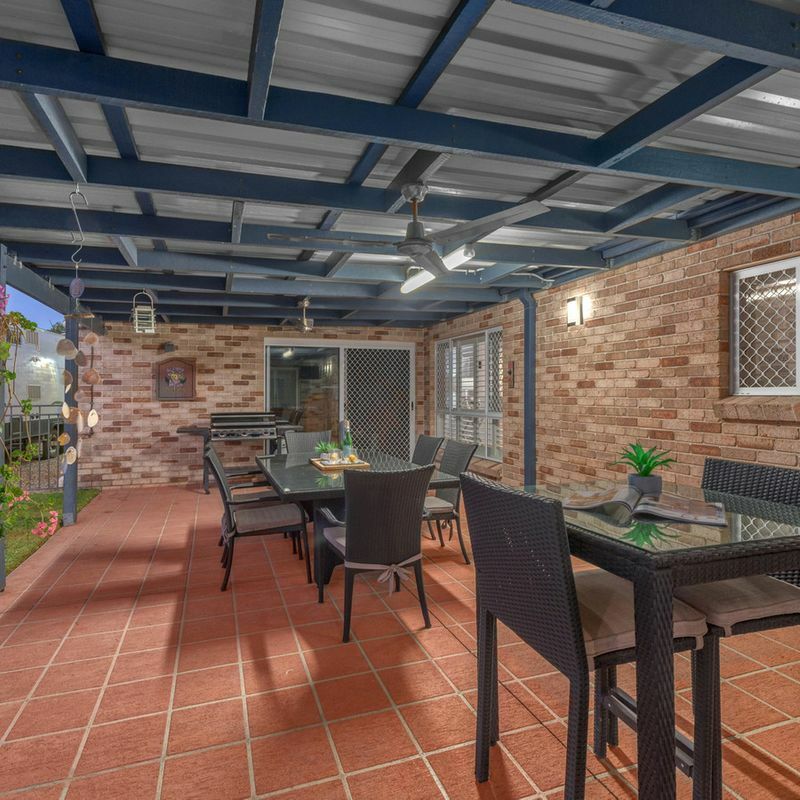 Located in a family friendly cul-de-sac, close to parkland, this home is just a short drive to local shops, Westfield Carindale, quality schools and bus stops.